We think it captures most of the key points we usually make about CodeBook, and, on the evidence of the first day at RTC, it seems to quickly grab the attention of people walking past our stand (#14). Today, CodeBook Solutions’ chief operating officer Cyril Verley will be presenting at the conference, describing how, using CodeBook, BIM and CAD data can be seamlessly exchanged with key owner/operator applications for FM, GIS, etc. Such talks normally stimulate a surge of interest on the stand, so we are looking forward to it! CodeBook allows the “comparison & validation” between the “required FF+E program per room” vs the families in the Revit model. Revit does not. 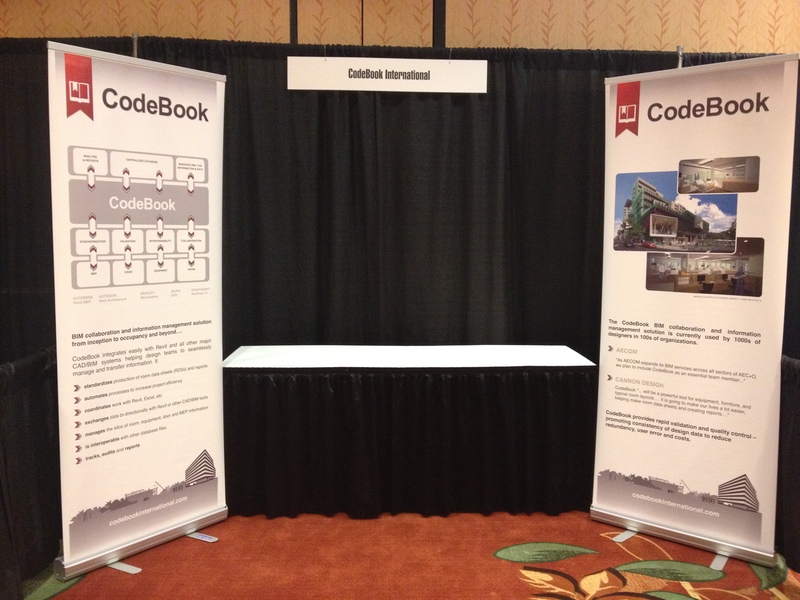 CodeBook can manage data from files using Revit, Autocad and Microstation at the same time. Revit, Autocad and Microstation do not. 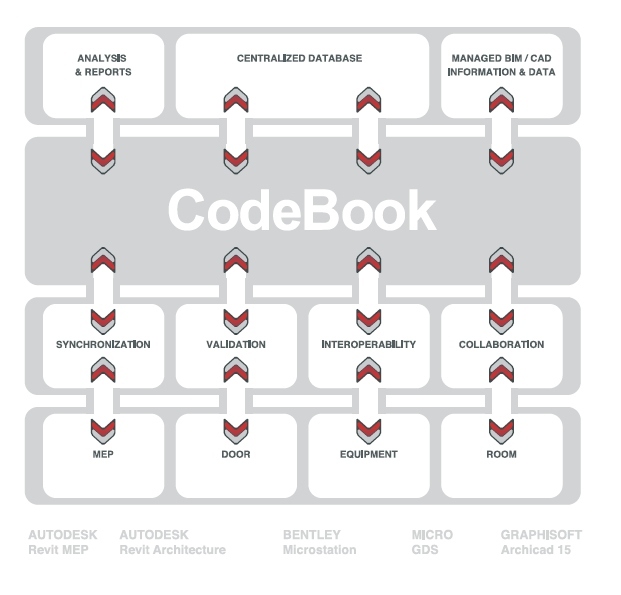 CodeBook exposes and links the BIM and CAD data to FM programs (like Maximo) and GIS programs (like ArcGIS). Revit, Autocad and Microstation do not. CodeBook manages and updates parameter data across multiple Revit models and families automatically. In Revit this is a manual process. CodeBook keeps the Revit model size down because the “parameter BIM data” is managed outside BIM. CodeBook now has a “web app” for handheld devices that allows the editing of “instance parameters” of all BIM assets on a room for the GC’s commissioning needs and the Owner’s FM and GIS needs. No need to open Revit or even know Revit. This entry was posted in BIM, CodeBook, FM, GIS, Healthcare, marketing, mobile and tagged ArcGIS, Autocad, BIM, CAD, CodeBook, Cyril Verley, LinkedIn, Maximo, Microstation, Revit, RTC by Peter. Bookmark the permalink.